A major fire broke out at Notre-Dame Cathedral in central Paris on Monday, a roaring blaze at one of France’s most visited landmarks that threw a huge plume of smoke across the capital. Flames burst through the roof of the cathedral, which had scaffolding around it. 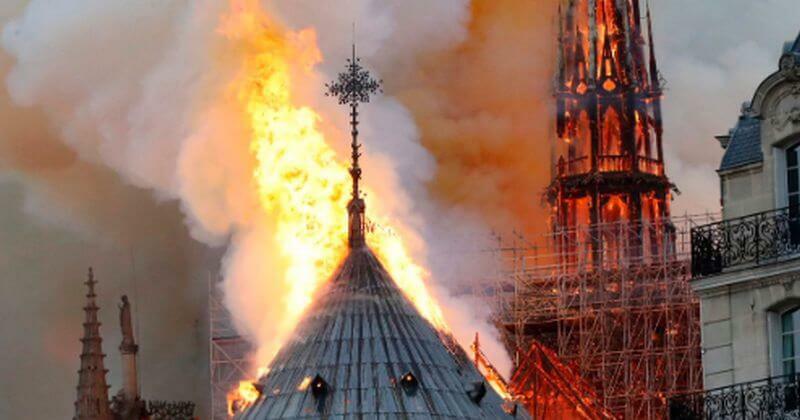 The fire quickly engulfed the spire, live TV pictures showed. Firefighters cleared the area around the cathedral, which marks the very center of the city. President Emmanuel Macron canceled an address to the nation that he had been due to give later on Monday evening. President Donald Trump expressed horror on Monday at the fire engulfing the historic Notre Dame cathedral in Paris. The cathedral, which dates back to the 12th century, features in Victor Hugo’s classic novel “The Hunchback of Notre-Dame.” It attracts millions of tourists every year.